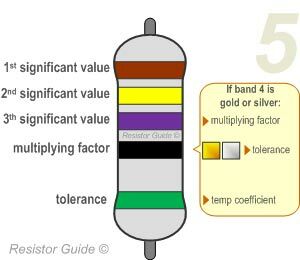 This diagram helps you read the 5 band resistor color code. The five bands are used for resistors with a tight tolerance. The first three bands are used to indicate the significant values, the fourth band is the multiplier and the sixth band shows the tolerance.